Foot and Ankle Problems By Dr. Richard Blake: Accessory Navicular Excision and Continual Pain: Why? Accessory Navicular Excision and Continual Pain: Why? Please understand I am still regaining strength since surgery so not all the weakness is due to bad tendon. Prior to excision I had painful tendinitis but full calf and tendon strength in the foot. Dr Blake's comment: This patient is really struggling post op accessory navicular removal. I had her send me a video (not sure it is working for you guys) of her ability to do single leg heel raise. She could do this just fine. 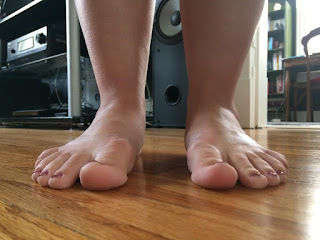 The standing barefoot pronated positions are fairly equal (the right had the surgery), so nothing seems amiss that I can find. The post tib tendon is Stage 2, which is still considered one that can be successfully treated with orthotics, taping, PT, icing, strengthening and achilles stretching. She has to find out what can be improved/modified in these areas. I want to send you a copy of the MRI but I am not sure where to have it sent to. Dr Blake's comment: Dr Richard Blake, 900 Hyde Street, San Francisco, CA, 94109. If I could get a cheap flight my husband and I would consider flying out to see you for an appointment. Let me know if this would be possible and how far you are booked out. Dr Blake's comment: Only a week, but since we need ample time to perhaps make an orthotic, could you fly Thurs, seeing me in the afternoon, and again see me on Monday. My surgeon told me if I could come up with a situation using OTC orthotics and materials (wedges, etc.) that works for me, I could take that to a podiatrist and tell them exactly how to make the orthotics. That's easier said than done as I don't have all the materials I would want to use to accomplish what I have in my mind. I know I want an orthotic with a low arch that is tipped at an angle to combat the pronation, and I want the pressure points to be soft/gel. Dr Blake's comment: So, at least start with the varus wedge from Altra. My husband will take some better pictures ASAP and send them to you. The surgeon has told me I am in stage II of Post Tibial Tendon Dysfunction. He recommends 1) gastroc release surgery and then if that doesn't work 2) flatfoot reconstruction: tendon transfer and calcaneal osteotomy. He said the second surgery is a 6-month PROJECT and from what I read online it sounds like I would never be able to do high-impact sports again and would lose foot function. Well, I guess that wouldn't be much different than my lifestyle now but it makes you wonder if it's worth it? Considering the stiffness I have in my foot after the accessory navicular was removed I am very leery of any additional negative effects of more surgery. Dr Blake's comment: You may well be a candidate for these, but definitely try alot of things first. I am glad I may have the opportunity to see you and assess your achilles tightness/flexibility, posterior tibial strength, etc. Nothing you sent from the photos above look bad enough to warrant anything but perhaps a posterior tibial tendon exploration. Ideally you could get an independent review from another surgeon here to get their perspective. Surgeons love to cut, and you never tell one surgeon what another one said, but they can differ alot in their approaches. I am really thinking it would be wise to wait at least 6 more months to see how I do before committing to another surgery. I asked surgeon if I could try new medicines or another cortisone injection. He said we could try Celebrex and an ultrasound-guided cortisone injection NEAR the tendon where he sees inflammation, but not IN the tendon itself. Dr Blake's comment: I hate any thought of cortisone near a tendon, even with guided ultrasound. I would think it is resonable to put local anesthetic without cortisone into the tendon sheath to find out if it is the tendon that hurts. You are numb for 5 hours, so you have to be very careful. I am so frustrated and in so much pain and I feel like I have very few options and many years of pain ahead of me whether I opt for the surgery or not. I know it's not a doctor's place to comment on personal life choices but my husband and I are looking at moving in the next year or so and starting a family...I can't imagine doing all that with the level of pain I have. Dr Blake's comment: No guarantees, but you should be fine. 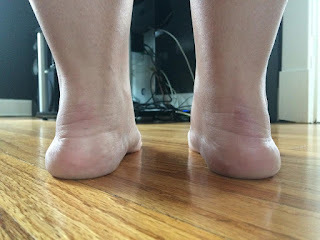 Gastroc releases are done in extremely tight achilles that are flattening your arches, and flatfoot reconstructions in flatfeet that need to be reconstructed. I do not see any of the flatfoot. The amount of pronation should be helped by orthotics, taping, and gradually strengthening your foot. Someone would have to evaluate the achilles and see if it is tight and by how much, and can it be stretched out. 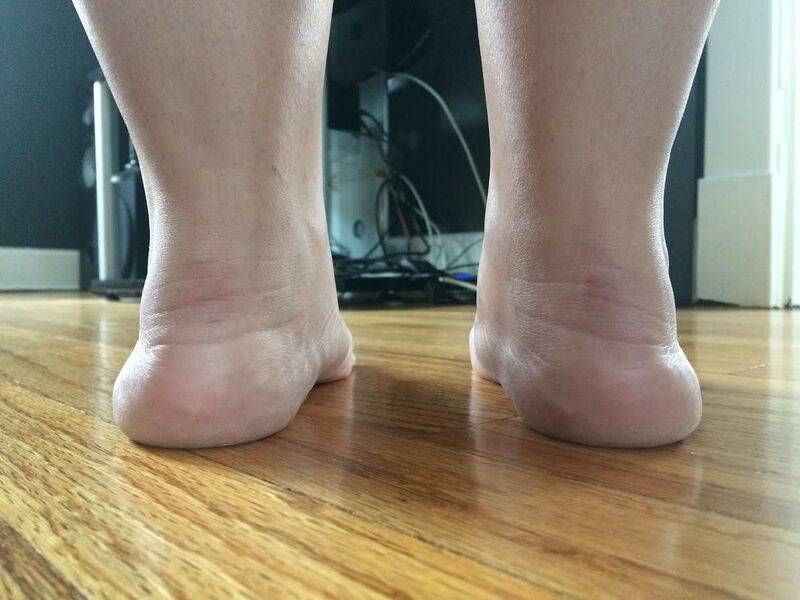 I have alot of normal people take up yoga and get the achilles really stretched out without trying too hard. I personally do NOT think the gastroc release will work and the physical therapists told me do not get this surgery. They see patients in recovery and it sounds like they think it's not very helpful. The tendon feels diseased. It's the tendon that needs to be scraped or reconstructed or removed or injected or something. It's felt this way for 3.5 years now. Dr Blake's comment: You know your body the best then the little time any doctor spends with you. Keep It Simple Stupid is a good mantra for a humble health care provider. We are stupid if we make it too complex when it does not need to be. I can not remember the last MRI on the tendon and what it looked like. Also, please see if the radiology department can do a diagnostic tenography of the posterior tibial tendon, but no cortisone injected. I hope this helps. I' m trying. I hope that following your guidelines and information, anyone will be able to cover the decease of accessory navicular excision and continual pain..! !